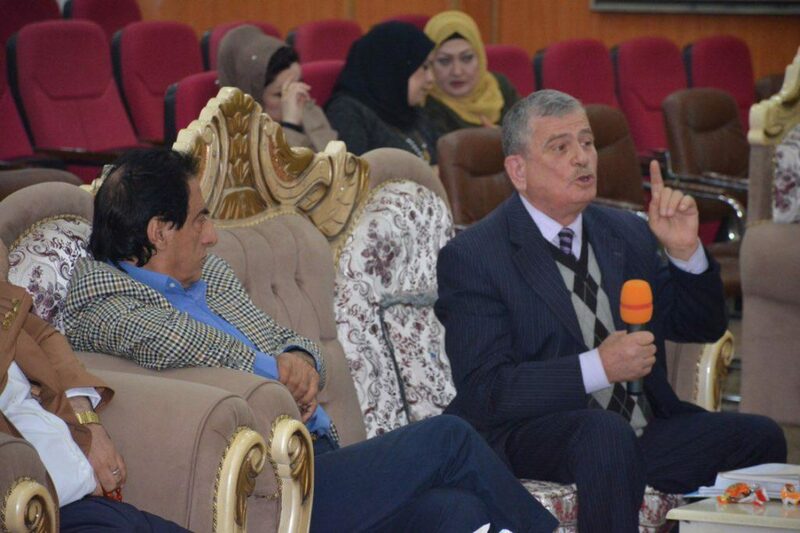 The Tikrit Social Forum held a symposium in support of cultural heritage. 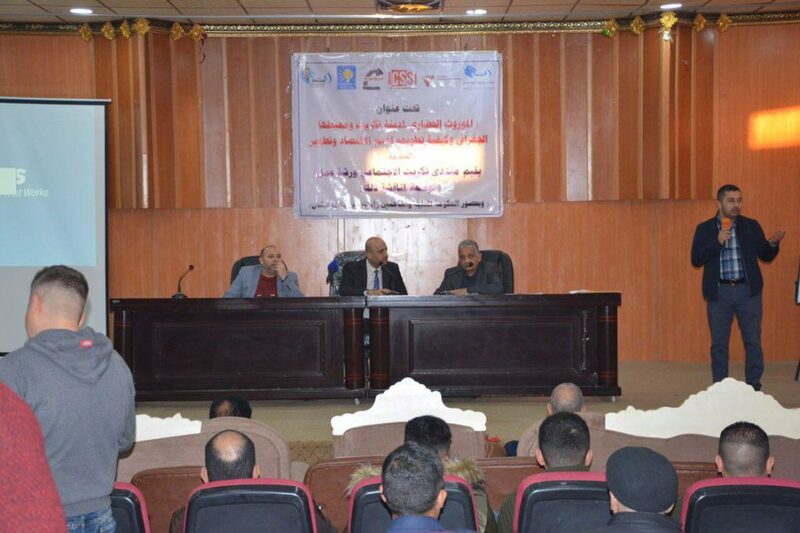 The symposium entitled “The Cultural Heritage of Tikrit City, its Geographical Surroundings and How to Support the Economy and the Environment,” was held on 11 December 2018 at the Palace of Culture and Arts in Tikrit. In attendance were distinguished specialists from Tikrit University’s Department of Heritage and History, as well as a representative of the Governor of Salah al-Din Province. 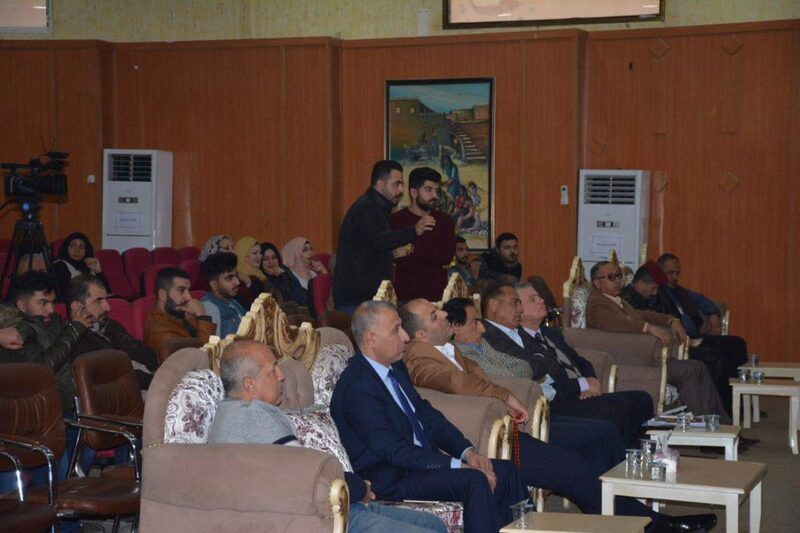 The seminar focused on the cultural heritage of Tikrit, and included a detailed explanation of the cultural heritage in the city and its geographical surroundings. Ibrahim Fadel Nasiri, Professor of History, spoke about the history of the city described in books belonging to the Assyrian king known as Tocletti Nanorta. The name of the city was mentioned on the clay figure found by archaeologists and historians inside the city of Assyria. Within the mud plaque there is a description of the King’s campaign in Al Tharthar Valley and along the Tigris River, followed by the City of Euphrates River, Babylon, and the Khabour Valley in Syria. The aim of this campaign was to show the strength and greatness of the Assyrian state and impose its prestige across lands. In his account of the details of this campaign, the King referred to Tikrit as a region inhabited by Bedouin tribes, the Aramaic people. The cuneiform specialist (S. Horne) mentioned that the city center that was inhabited by Aetwa tribe is called Ito, and it’s the current city of Tikrit. The seminar was attended by a large number of officials, university professors and teams of local volunteers and activists. The seminar also witnessed a presentation of a documentary film about Tikrit and its archeological sites. Improve access to the archaeological sites within the presidential sites and remove any further restrictions regarding the archeological sites, including the Green Church, which is the capital of Syriac (also known as the Church of the East), as well as the archaeological castle of Tikrit. 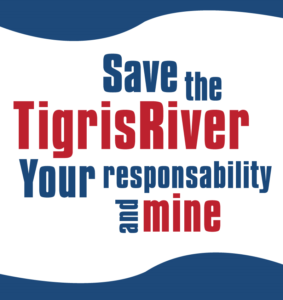 The campaign to save the archaeological sites of the Tikrit, led by the Tikrit Social Forum and with the support of the Iraqi Social Forum, will advance in coordination with the competent authorities in order to push decision makers to recognize the importance of the sites, and implement cleaning campaigns, restoration and seminars for the general public. 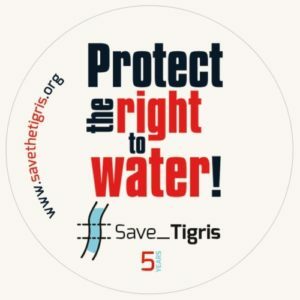 The campaign is held in cooperation with the Information Center for Research and Development, and the Iraqi Civil Society Solidarity Initiative, funded by the FAI Project.